Since ancient times, stories of epic battles and mystical legends have been passed through the generations across the rugged and mysterious Highlands of Scotland. “Brave”chronicles the story of Scottish princess Merida (Kelly Macdonald), a skilful and courageous archer with a decidedly impetuous nature. 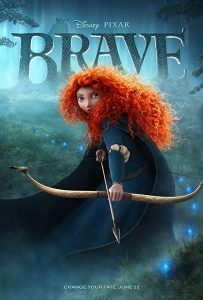 Determined to carve her own path in life, Merida makes a reckless choice that unleashes chaos and unintended peril, unwittingly jeopardizing her father’s kingdom.